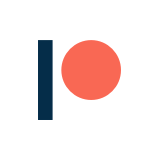 I’ve pitched a session for the 2019 edition of SXSW, and I need your help to make it happen! This conference gives you a chance to pick which talks you want to see. Even if you’re not planning on attending SXSW, I would appreciate your help and your up vote! You’ll benefit since my proposed session is a live recording of the podcast – but the actual podcast will be published as usual after the conference! Go to the Panel Picker site (https://panelpicker.sxsw.com/). If you do not have an account, create one. Otherwise log in. Click or activate the VOTE UP button. Do comment about why you’re interested in this session. Tell your friends about it! Share this post on twitter, facebook, and other social media! Feel free to ask questions or make suggestions while you’re leaving comments. I’m also interested to hear what you’d like to know from my guest, beyond my usual questions. My guest for this episode will be Sarah Herrlinger. Sarah is Apple’s Director of Global Accessibility Policy and Initiatives. She has done a lot of good work that has had a positive impact on so many people with (or without) disabilities. I’m really excited to talk to her. I think the live recording format for this podcast would be great – and allow for people in the audience to ask a few questions as well. Thank you for your help getting this session approved. 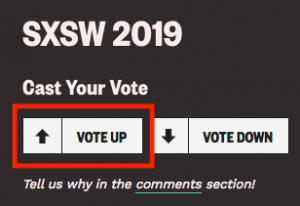 And while you’re logged in to the SXSW Panel Picker, I suggest you vote up other sessions that interest you. Accessible or SUX, it’s your choice!